Products for our Partners in the Education and Sports Sectors. 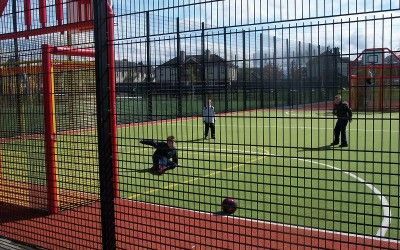 Our experience of the needs of those involved in the Education and Sports sectors is long established. 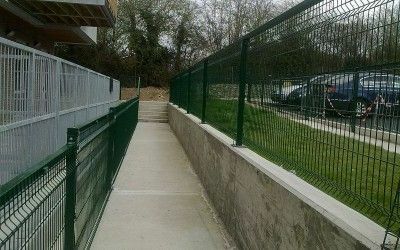 From providing simple play areas for use in creches and primary schools through to state of the art facilities such as Loughlinstown Leisure Centre, The National Sports Campus and The National Rowing Centre as well as individual clubs including Clontarf Golf Club involved in the widest range of sports we have come across most requirements and most of the problems that need to be overcome. 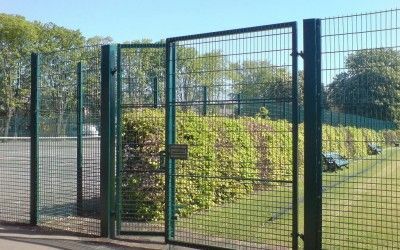 We have also provided Fencing products and decorative boundaries to enhance and protect Schools, Colleges and Sports Facilities, together with many of the ancillary products required such as netting, gates, shelters bollards etc. 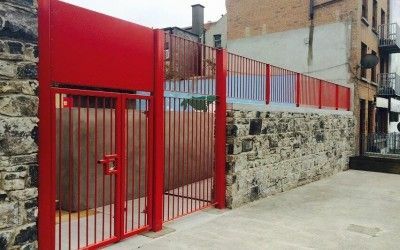 We hope you find what you require here. 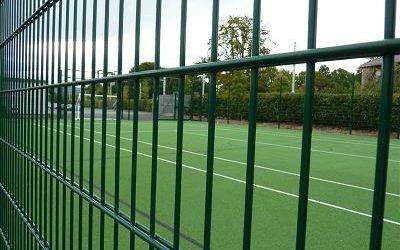 Our Sports Mesh Fences are manufactured from Zinc Protected wire and finished with Polyester Powder coating in a range of colours. 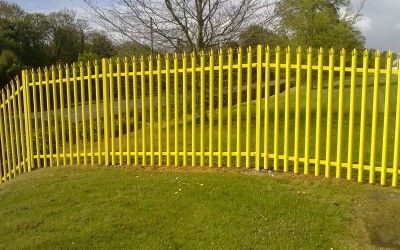 They are designed to give an enhanced playing experience with a long life expectancy. 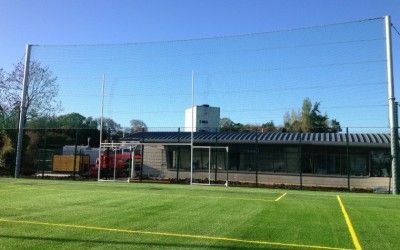 Our Netting is supplied custom made to the necessary size using 2/10/48 Polysteel woven twine 2.5mm diameter. 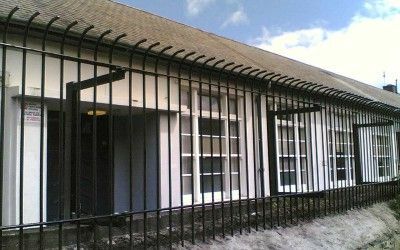 Each section is reinforced with 8mm Polysteel rope edging and is available in various aperture sizes. 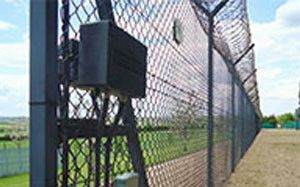 Weld Mesh fences are manufactured as panels and are the most popular choice of fencing for perimeter protection. 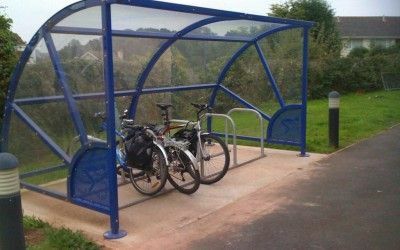 There are a wide range of designs from low to very high security use, with a wide range of price options. 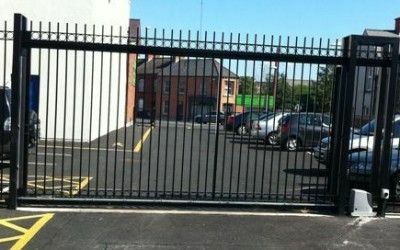 Railings, offer various levels of security and come in a wide range of designs. 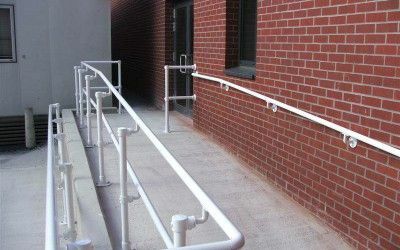 Our products include Solid Round Bar railing, various types of Bow railings which are particularly suitable in play areas or where children are in contact.